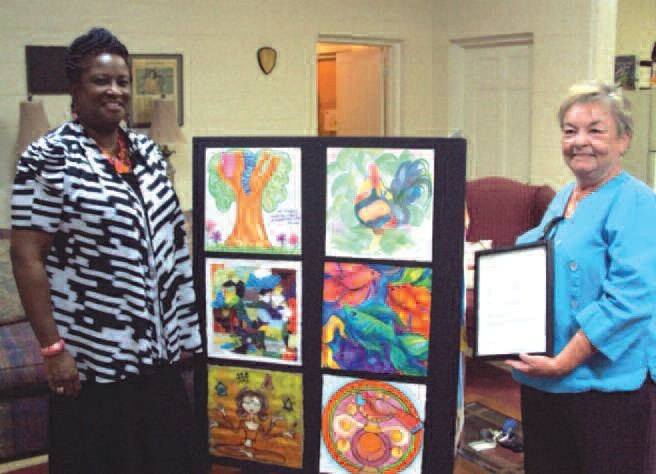 On Monday, July 16, 2012 the Greenbriar Center received an artwork donation from the The American Art Therapy. The American Art Therapy Association and the Association’s Art Committee, were pleased that the Greenbriar Children’s Center has accepted their donation of artwork from, the members of the Association. The American Art Therapy Association encourages the highest quality of art therapy services to the public; facilitates communication among members and colleagues; supports state and federal legislative efforts that impact art therapy; disseminates information to the general public; and recognizes excellence in art therapy in clinical, professional, educational, and research efforts. The organization hopes the donated artwork can help to adorn the Greenbriar center, and that the staff and clients will have a sense of the caring spirit of the artists who have created it, and the support of the American Art Therapy Association for the important work Greenbriar does in the community.